Most covers are compatible with our racks. The critical aspect of the cover, is that our Tonneau Brackets can fit under the cover, and attach to the truck. Many other covers will work, but there are too many to list. If you have a certain cover in mind, email us at sales@kbvoodoo.com and we will help determine if it will work. A good way to positively check compatibility, is to order one of our Single Test Brackets. Will I be able to open my cover with the rack installed? - Folding covers will not be able to open unless you choose our URTC. - Retractable covers will still function. - Rollup covers can only roll until the cover hits the back legs of the rack. What can I do if I want to put a large item in my bed? - Our bed racks are easily removable. There are four bolts that you remove, and the rack will lift right off. Will my cover leak water after installing the rack? - Our tonneau brackets are 3/16" thick. This may cause infiltration of water. 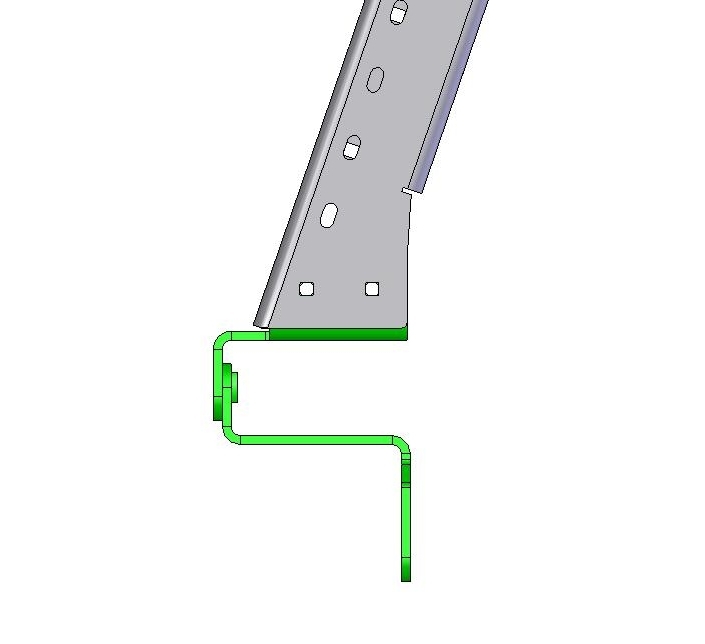 Foam gasket can be installed around our brackets to help prevent leakage. If you have a Tacoma with a BakFlip cover, your factory accessory rails have most likely been relocated. If this is the case, you will need our Tonneau Cover Brackets for BakFlip Covers (pictured below). Our Hi Rise Crossbars and URTC will not work with relocated Tacoma accessory rails.